Learning to prioritize was a major focus in nursing school, while re-prioritizing multiple times during a shift was perhaps not. Figuring out how to cope when things turn on a dime and it’s time to re-prioritize is often more of a learning experience on-the-job as a new nurse. Being organized and efficient is one of the best ways to survive the day. These are not skills everyone is born with, but they will make life ever so much easier For some nurses it will come easier than others, but it’s a must-do. Making lists is one of the easiest ways to get organized. Do your homework before arriving at work. Make a generalized schedule for your day that includes things such as rounding every 2 hours, passing meds at specific times, charting every 2 hours, eating a snack and using the bathroom at least every 4 hours (yes you MUST schedule this!) Leave time for any other specific tasks you need to accomplish for all patients depending on your unit such as wound care/dressing changes, IVs to change out, etc.) Set time limits for each block of tasks so that you effectively manage your time. You won’t have an unlimited time frame to accomplish everything. But if you’re organized, you’ll begin to manage your time more and more efficiently. Then make lists of the supplies you need to gather for all of your patients. Add time to your schedule to gather these supplies and distribute them. List and schedule everything you need to accomplish. As time goes on, you can shorten the list because You’ll just know what’s included. You may even design a grid for yourself and use minimal notes. After report, review your patients and look for any time specific tasks you need to add to your schedule. Mentally review the care plan you would write and check it off as you meet and greet and assess this patient. This may include blood glucose checks and insulin or other pre-meal medications or treatments. You might need to pre-medicate patients before PT or wound care or bathing. You will adjust your schedule for the specific shift and re-prioritize. Once the immediate tasks are met, start your by rounding, introducing yourself to patients and family members, and take vital signs, makes a quick assessment, collect orders for PRN meds your patients request along with other requests or specific questions they may have such as when the doctor will be in, what time will they have PT, or other educational issues. Write them down so you don’t forget and let someone wait forever for pain meds. Delegate what you can to your CNA. Pass your PRN meds and chart them. Get the answers to patient questions and get back to them. Go back and make your full assessments. Get report from your CNA. Make calls to MDs for orders you need to meet patient’s needs. Move on to the next part of your schedule. And keep moving. A day without a plan will most certainly become chaos and quickly get away from you. It’s very easy to get way behind and become overwhelmed if there’s not a plan to establish and follow each day. Don’t depend on just mentally doing it. Write it down. It helps to reinforce the organization and ensures you don’t leave holes or forget important tasks. 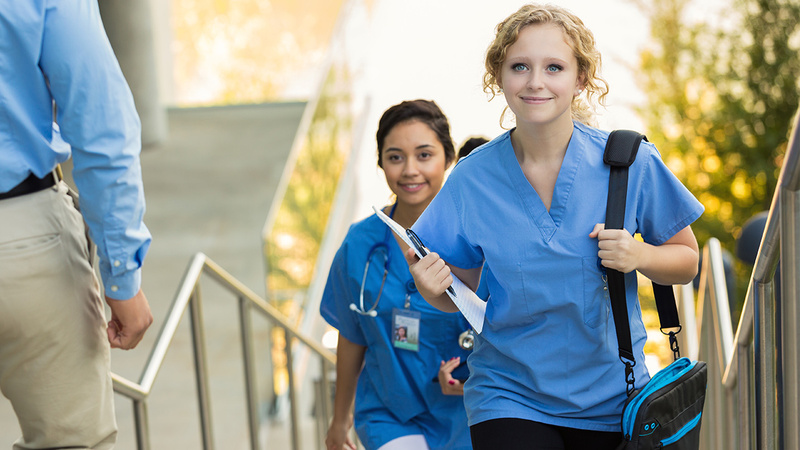 All those nursing care plans and theories in nursing school were necessary to help make nursing life become second nature. Although in practice, nurses may not write and use official care plans for every patient each shift, the approach along with the Nursing Process should have become habit. In fact some nurses will admit finding themselves examining all of life’s situations with a Nursing Process approach to problem solving. Don’t lose track of those steps: Assess, Diagnosis, Plan, Implement, Evaluate and repeat as necessary. You may not officially use them with your patient load, but they will help guide your care and bring focus to everything you do for your patients. It’s a good way to approach your nursing practice, as well as life, and not just have knee-jerk reactions to all of things life throws at us. Responding is much more effective than reacting. Using deductive and inductive reasoning, solving problems whether they be related to patients or personal life, this process can help designate the way to proceed and achieve successful outcomes. Critical thinking skills are required for this. Looking at a problem from different angles, and thinking outside the box also helps to define the best approach to coping and fixing an issue. Just guessing and jumping to conclusions will not be a successful approach to providing quality nursing care. Sometimes decisions need to be made in a split second and having strong critical thinking skills and utilizing the Nursing Process needs to reside in the front of the brain for fast and easy access. Nurses need to be confident in their skills, and able to direct others in assisting with any situation. Continuing education courses for nurses is one way to validate the knowledge you are unsure of and test yourself. This helps to build confidence and reinforce your knowledge base is secure. Of course delegation does not mean handing off the problem and forgetting about it. You’re still responsible for the oversight and must get report on the progress and make sure the outcome is what you expected. Review your daily plan/schedule before starting your shift and refer to it often during your shift. As one crisis is resolved and another one hits, you will learn to re-prioritize immediately and to delegate in order to survive your shift. And always remember to help out your co-workers if you find yourself with a peaceful day, or part of the day. Repaying a kindness is not to be overlooked. TEAM work is essential to quality nursing care. Answering a call light as you walk down the hall helps keep patients happy and may avert a crisis that can affect the entire staff. Stay current with your charting every 2 hours so you’re not trying to do it all at the end of your shift or you’ll be there far too long, and even worse, forget to document something important. Try to stick to your schedule and the basics will be easier and so will the interruptions. ALL nurses who are organized and have a plan for their day will work more efficiently and be less affected by emergencies, new admissions, unexpected changes, etc. It takes planning and a little homework, but oh so worth it in the end.